How do I edit my peer-to-peer fundraising team? From your Team Editor you can edit your team’s description, update your team goal, and/or upload a team photo. 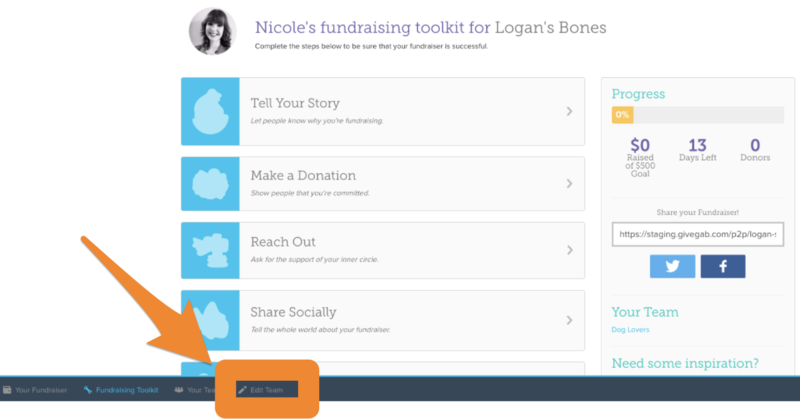 Once you’ve made your changes, click "Save" and your changes will be reflected on your team's P2P fundraising page.